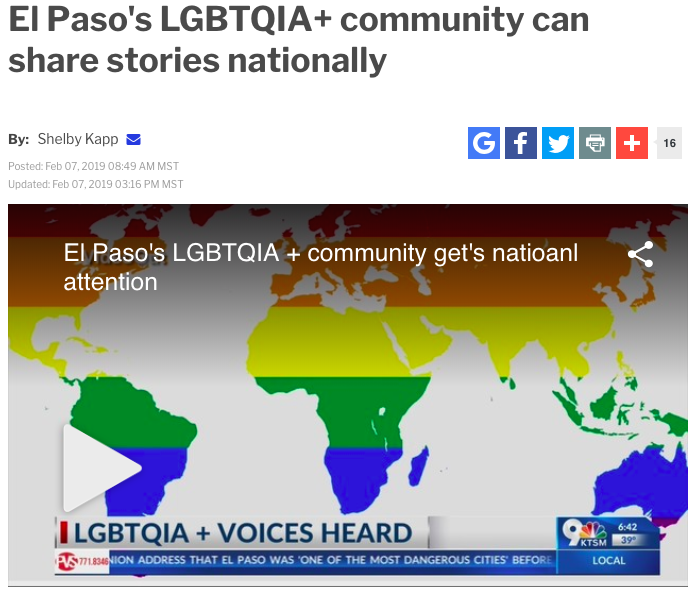 El Pasoans can share their coming-out stories Saturday with VideoOut, an online library for the LGBTQIA community. Jordan Reeves, founder of VideoOut, was documenting El Pasoans' coming-out stories Thursday at the El Paso Museum of History. Eder Perez, a University of Texas at El Paso student and graduate of Valle Verde Early College High School, shared his story Thursday. VideoOut collaborated with the museum to catalog an oral history of coming-out stories. Reeves said the stories are important for others who are coming out and need a story to relate to. Simon’s story is just one of about 250 stories featured on VideoOut, a digital platform Reeves founded two years ago. 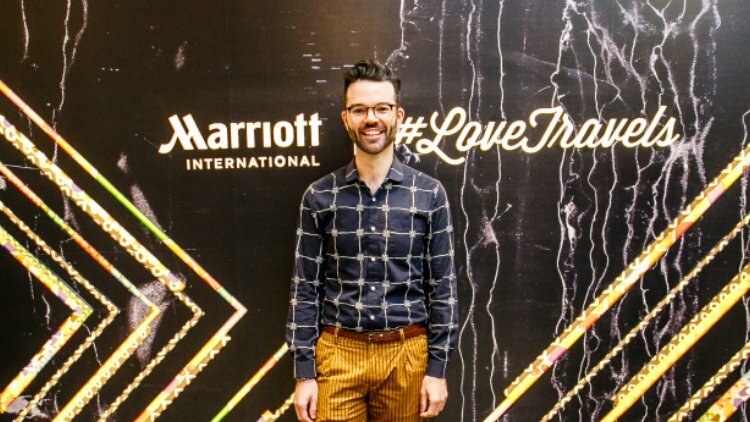 Since 2016, he has traveled the United States collecting diverse stories of LGBTQ people reflecting on their own experiences of coming out, whether it was about their sexual orientation, gender identity, or even their HIV status. "It wasn't until I heard a coming out story that I realized I'm not alone," says Reeves. Once he moved to New York and started connecting with other LGBTQ people, he still felt the impact of that first story, and decided to dedicate his life to collecting coming out stories through his project VideoOut. "I kept thinking about the power of that story in my own life, and exponentializing that power through a platform that could help millions of people. That was the vision I had for VideoOut, was that this could be bigger than just my own life. It could be for everyone." Jordan Reeves, founder and CEO of VideoOut, built a virtual library specifically to allow people to easily share their coming out stories.